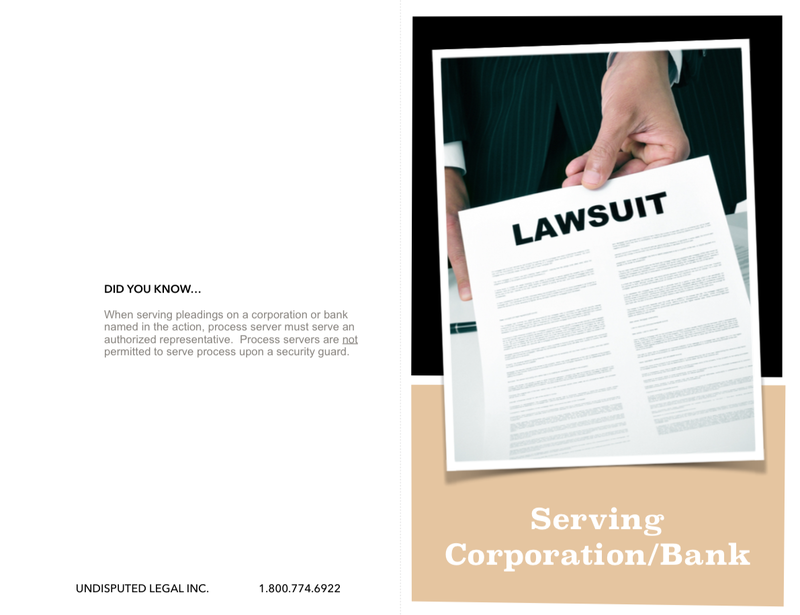 Process Service Laws | Undisputed Legal Inc.
Posts tagged with "Process Service Laws"
Did You Know…. Serving a Corporation/Bank…. This entry was posted in Law, Legal, Legal Material and tagged Process Server Laws, Process Server Rules, Process Service Laws, Process Service Rules, Service of Process Laws, Service of Process Rules on January 7, 2015 by Customer Service.